UNESCO World Heritage Site recognized as a globally significant mountain wilderness." 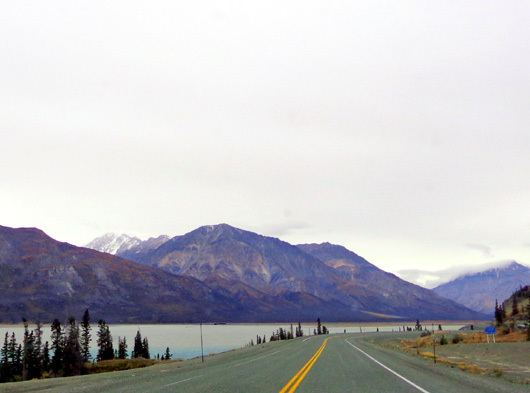 The highlight for me today was driving between the northern border of vast Kluane National Park and Reserve and the entire length of magnificent Kluane Lake, the largest body of water along the Alaska Highway -- and the Yukon Territory's largest lake. Kluane National Park and Reserve is a vast wilderness area covering 22,000 square kilometers in the far southwestern corner of the Yukon. 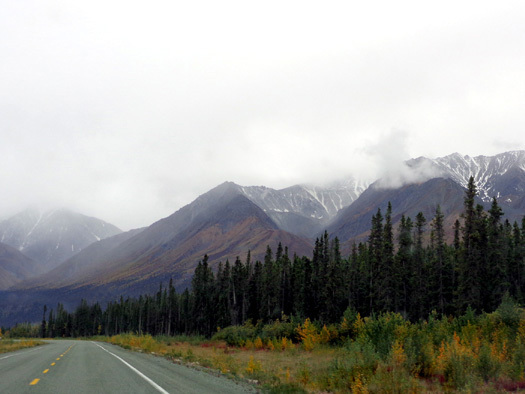 The Alaska Hwy. 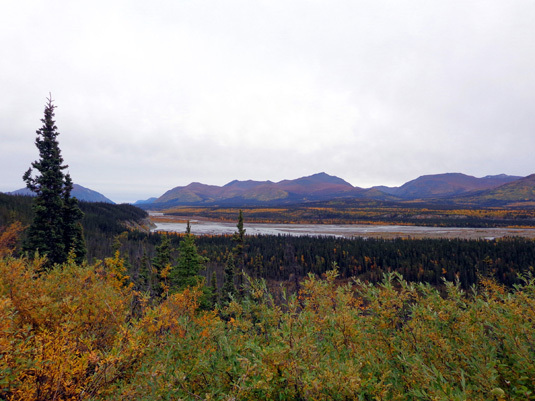 follows the northern border of the park and adjacent Kluane Game Sanctuary for about 300 miles, offering spectacular views of mountains and river valleys between the Alaska border and Haines Junction, YT. I don't think that even on a clear day you can see Mt. 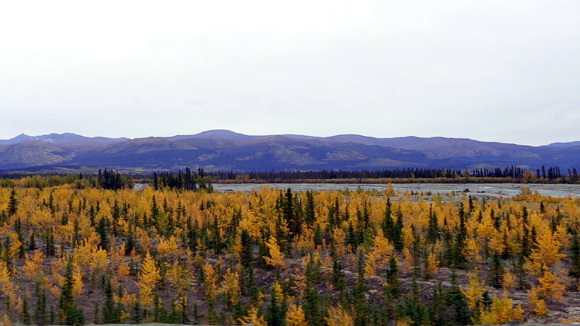 Logan from the Alaska Hwy. The road doesn't get high enough here and there are just too many other peaks between it and Mt. Logan. At 19,551 feet elevation, Mt. Logan is the second-highest peak in North America. Only Denali (Mt. McKinley) in Alaska is higher. 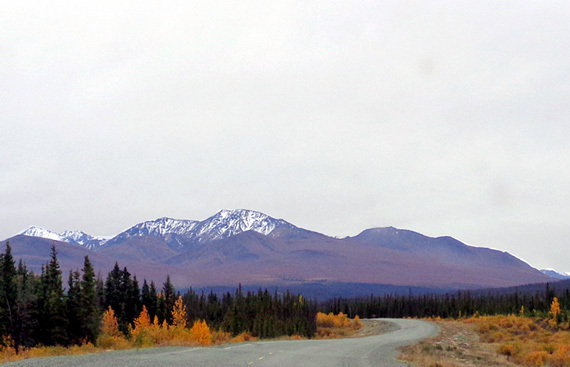 Some snow-capped mountains in the St. Elias Range are visible from the Alaska Hwy. 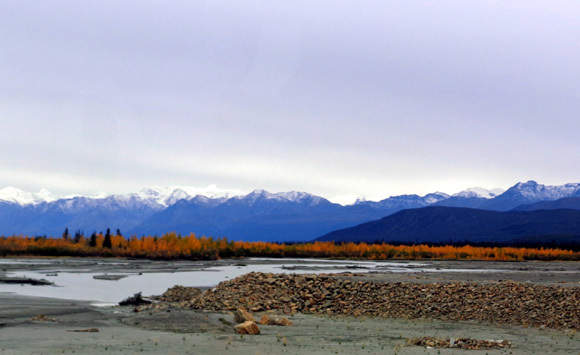 Kluane National Park also includes some of the largest non-polar ice fields in the world, numerous streams, and lots of wildlife including grizzly and black bears, moose, caribou, Dall sheep, mountain goats, lynx, wolves, and coyotes. Unfortunately we didn't see any wildlife on today's drive from Snag Junction CG (near the town of Beaver Lake) to Whitehorse, all in the Yukon Territory. For some reason Kluane Lake, on the other side of the Alaska Hwy., is not part of Kluane National Park or any other public lands. I'm glad there isn't much development along the road so most of it looks like wilderness, too. Ironically, I took more photos today while I was driving along Kluane Lake than before and after that when Jim was driving. I know it's not the safest thing to do when driving, let alone while towing a large 5th-wheel coach, but Jim was asleep, there was hardly anyone else on the road, and I was going through one of the most beautiful stretches of scenery along the entire Alaska Hwy. In other places along the lake the valley is wider between the road and mountains and isn't so close to the water. 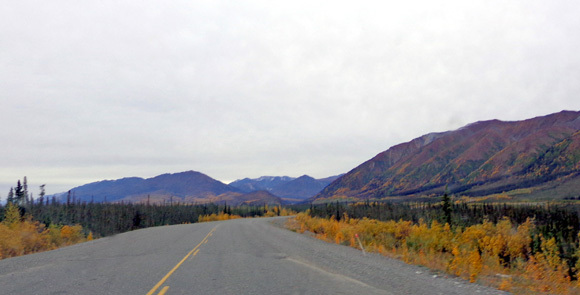 ROUTE: Southeast on the Alaska Hwy. between the Snag Junction provincial campground near Beaver Lake to the eastern side of Whitehorse, capital of the Yukon Territory. Whitehorse's approximately 25,000 residents represent two-thirds of the population in the entire, very large province. I'll be referring to several parks, towns, highways, and other locations on the map in this entry. DURATION: The drive with our 36-foot 5th-wheel took us just under 8 hours with breaks for fuel, lunch, bathroom, etc. but no tourist or scenery stops. We left one campground a little after 9 AM and reached the other about 5 PM, all Pacific Time. 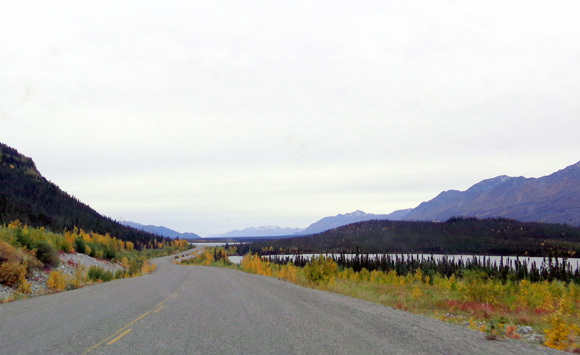 many unpainted segments of the Alaska Hwy. in the Yukon and BC at the beginning and end of the season. ROAD CONDITIONS: We both had to watch for unexpected potholes, frost heaves, and gravel breaks while we were driving but the road was better than when we came up here in June. 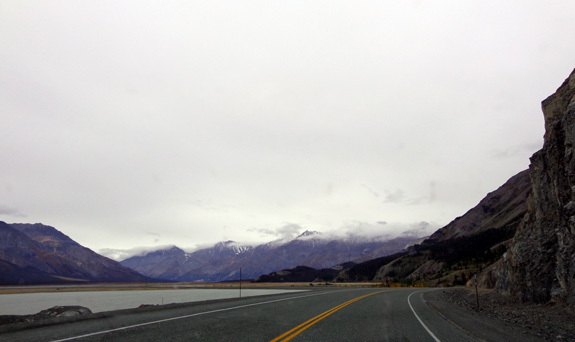 I was driving the stretch along Kluane Lake, shown above. As I made the curve around the south end of the lake I looked real hard for one of the major washouts from June where they had to install a larger culvert, repave the highway, and redirect runoff � but I had trouble seeing where it was! They did a good job repairing it. There was a lot of obvious grading on the side of the road in that area but the pavement and stripes looked as if they'd been there longer than just since June. TRAFFIC CONDITIONS: extremely light until we got near Whitehorse. While I was driving I went for at least ten miles a couple times without seeing anyone in either direction. I wonder how many people driving in the Lower 48 can say that's ever happened to them on a weekday, even when they're on vacation? 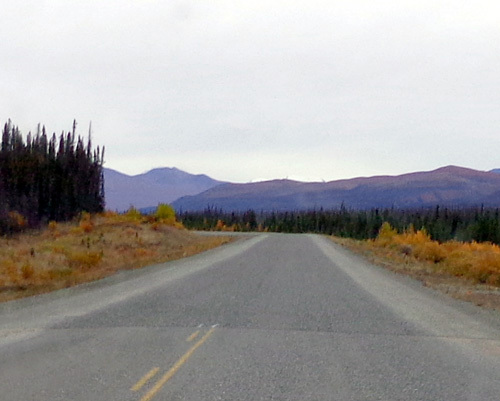 Seeing virtually no one else on the road through this part of the Yukon is another clear indication that most people have already headed south for the winter. Still, I was surprised to see the large Cottonwood RV Park closed at Kluane Lake. The visitor center at the south end of the lake -- in the photo above -- was also closed for the season. We missed it on our way up to Alaska in June, too, because we got there 15 minutes after it closed for the day. Next trip maybe we'll time it right. This whole trip has many examples of things we've either inadvertently or intentionally "saved" for future trips to Alaska! WEATHER: overcast skies until mid-afternoon, when we drove in light to moderate rain between Haines Junction and Whitehorse. It continued raining until we went to bed. That was discouraging; after seeing the sun last evening we hoped for better weather today and so did the forecasters. Temps remained in the 40s F. all day. TERRAIN: Glad we weren�t much higher than 3,300 feet (Bear Summit) or we�d have been in some snow. 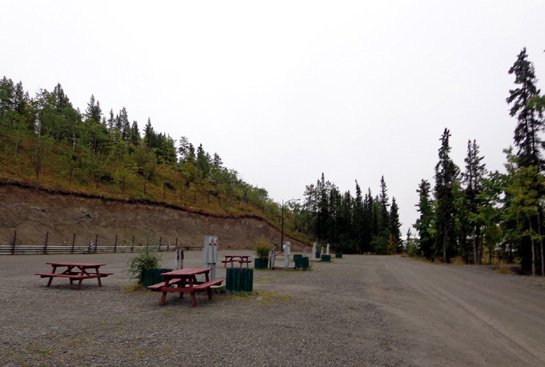 We had more hills today than yesterday but generally stayed in the 2,200- to 2,400-foot range on the Alaska Hwy. The biggest elevation gain/loss was up to Bear Summit and down to Haines Jct. The overcast weather was similar to when we came through here on June 13 going the other direction but it was "brighter" today with all the gold and orange leaf color contrasting with the spruce trees than it was in early summer with more monochromatic light green leaves and dark green pine needles. The Yukon is full of water, even at the end of summer. We shouldn't have to worry about flooding this time, though. We'll never forget that unprecedented five-day layover in Watson Lake in June because the Alaska Highway washed out in several places. Because of the wet weather we buzzed through Haines Junction again. 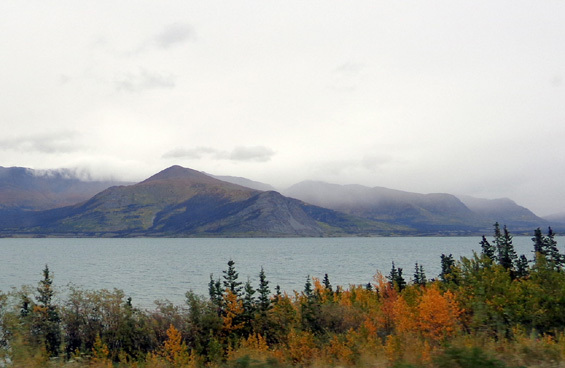 Located at KM 1579 on the Alaska Hwy., it lies at the junction of the road that runs 200+ miles south to Haines, AK. 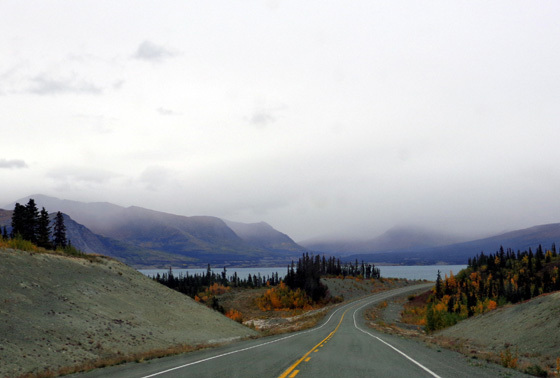 It's also a base for exploring Kluane National Park. I'd like to spend some time at the park's visitor center and hike some trails there -- next time we're here. 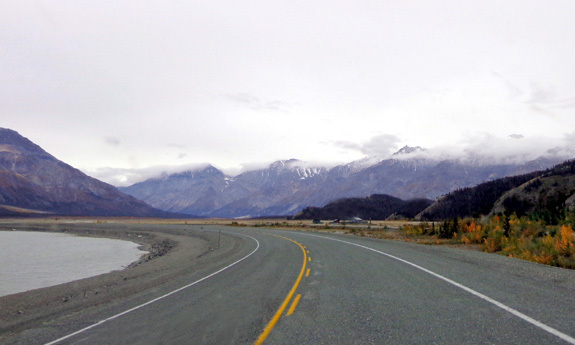 View of the Kluane River from the rest area at KM 1726 on the Alaska Hwy. 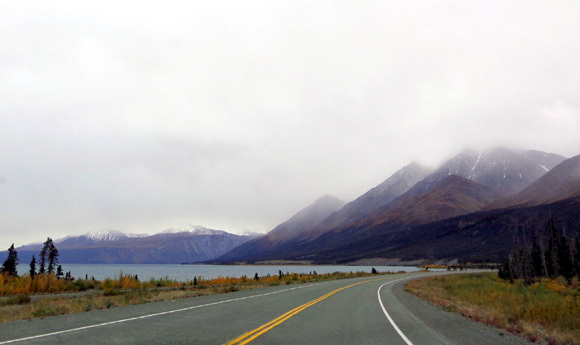 On another trip I would like to drive the scenic Haines Hwy., a dead-end road that borders the southeast part of Kluane NP and travels through several climate zones. You can see its location on the map farther up in this entry. I don't know how tedious it would be to drive down there, however. 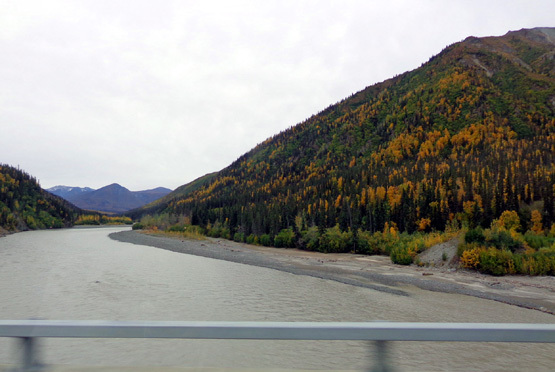 For one thing, that road goes through the Yukon, British Columbia, and Alaska, which means a border crossing outbound and a second one on the return. Going through customs would be easier if we left the camper in the Yukon or BC as close to the Alaska border as possible and took just the truck to Haines on a day trip. That would eliminate a possible RV search (a truck search is much less of a hassle) and reduce a lot of the miles we'd have to drive in one day. 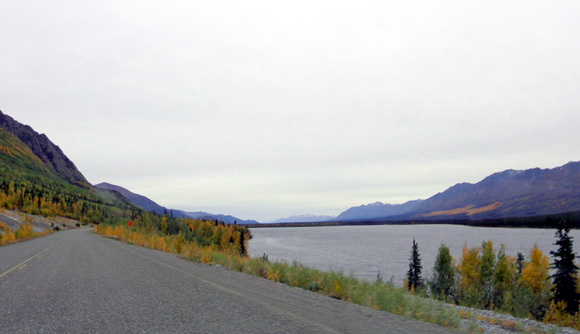 Haines is just 41 miles inside the Alaska border on that road. Nearly the same scenario is involved if we visit Skagway, AK., located south of Whitehorse (also shown on the map above). We've already ruled that out for tomorrow for various reasons but will consider it on another trip up this way. Skagway is about 150 miles south of the Alaska Hwy. 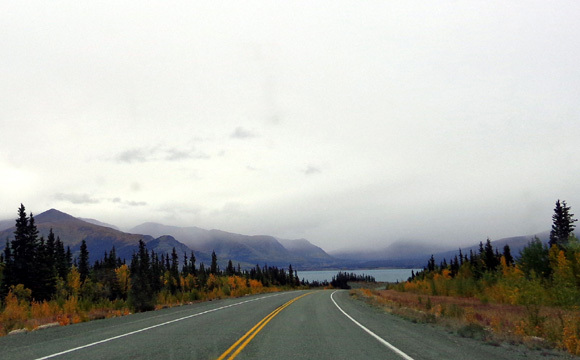 on a dead-end route that goes through 135 miles of the Yukon and BC, then just 15 miles in Alaska. We arrived in Whitehorse about 3:15 PM and had to get used to people and traffic lights again. We got diesel at the same station next to WalMart that we used on the way up ($1.339/liter). Jim wanted to park at WM overnight but the lot was packed with RVs and other vehicles on this Friday afternoon. Whitehorse is another place to spend more time on our next trip . 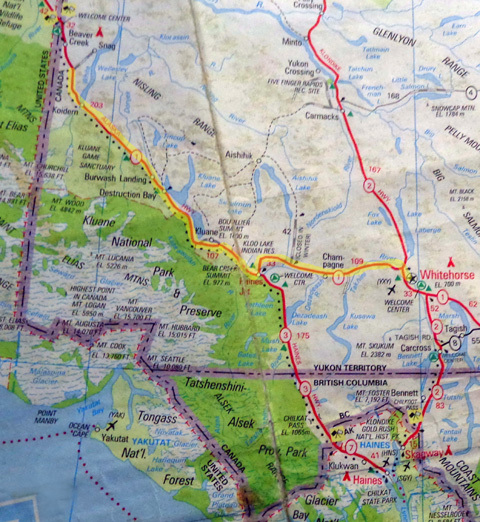 . .
After fueling up we headed east on the Alaska Hwy., hunting for a place to spend the night. 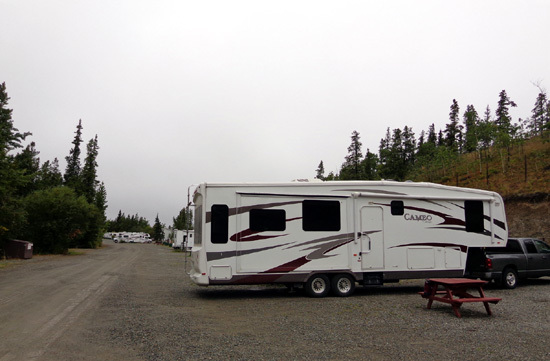 We considered two Yukon government campgrounds east of Whitehorse but decided to check out the private Pioneer RV Park first. We were tired of driving in the rain and ended up paying for one night there. Pioneer RV Park is large (140 sites) and has a variety of dry camping to full hookup options. We think we did pretty well with a pull thru full hookup site with free WiFi for $28.35 Canadian (less American) with our Good Sam discount. The only thing we're missing is TV reception. They assigned us to a gravel site with no one close to us. There is some road noise but with both small electric heaters running we can�t hear it unless we�re outside. It�s darn chilly and took a while to get the camper comfortable. The dry heat from the electric heaters is preferable to running the propane heater when we don't have hookups. Propane heat causes more condensation on the windows than electric heat in our camper. We are happy to have WiFi because we couldn�t find anywhere to park in town that might have free WiFi. We were able to access our e-mail using Internet Explorer but couldn�t upload corrections to the four website pages I recently got done. The RV park limits what types of sites we can use (like no You Tube) although 1500 megabytes for each of us is generous. This is a popular park in the summer and it offers many services, including bus and/or train tours to Skagway and Juneau. The Alaska Highway was mostly exciting on the way to Alaska in June because everything was new to us and we were at the beginning of a Big New Adventure. Now the road just seems long! I think a lot of it has to do with the lousy weather the last two days. 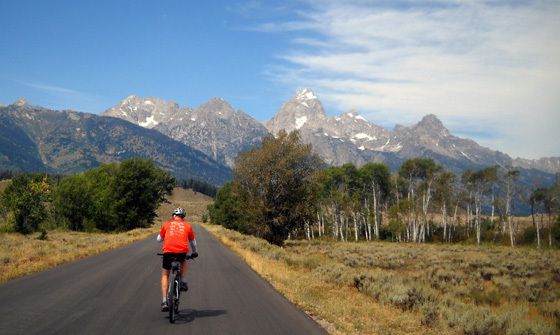 We�re also kind of tripped out � we�ve seen enough visitor centers and sights for a while. I'll never get tired of glaciers, water, and mountains, though. In the evening we looked at various towns/cities along both routes we�ve considered taking to Great Falls, MT � the Cassiar/Yellowhead to Banff/Jasper National Parks vs. the Alaska Hwy. the way we came up in June. After ruling out side trips to Haines and Skagway, we've thought about visiting two small adjacent towns on a spur road off the Cassiar Hwy -- Stewart, AK and Hyder, BC. 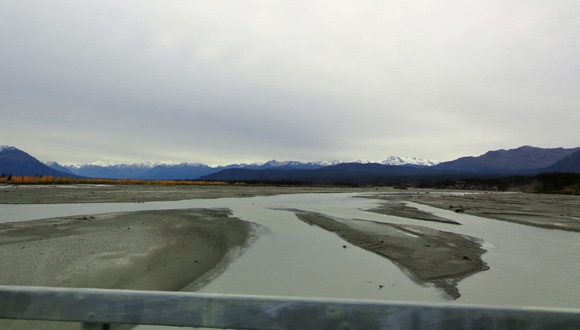 Both villages sound like worthy destinations for a day trip in the truck, with historic buildings, bear and salmon viewing, a wildlife estuary, and a glacier you can see from the bottom and the top. This day trip would also entail two additional border crossings. Again, we could simplify going through customs by leaving the camper at the junction of the Cassiar and the spur road and take just the truck and Cody with us. Based on weather predictions the next few days it will be sunnier if we get past the Rockies faster on the Alaska Hwy. than if we go west of them for two to three days on the Cassiar Hwy. We have some other concerns about the more remote Cassiar, too. In addition, Stewart-Hyder is wet all week (we�d get there on Monday or Tuesday). We are more than tired of rain this summer. So tonight we decided to just go back the way we came. The next one or two days may be wet but then it should be sunnier. Add Stewart-Hyder to our list of places to visit "Maybe Next Time." We'll stay on the Alaska Hwy. and aim for Watson Lake tomorrow. Hope we have to spend only ONE night there this time!